"Point of purpose": The book for modern leaders who are changing the way consumers interact with brands. Inspired by a relentless pursuit of knowledge, Mission co-founder Bård Annweiler shares the true potential of purpose in his new book Point of purpose. The essential book for modern leaders and global brand strategists, Point of purpose introduces purpose as the fundamental reason why today’s companies and brands are successful in business. Nurtures a positive work culture. Engages loyal customers and seduces new. At the FUSE conference in New York in April 2018, Bård Annweiler introduced his upcoming book Point of purpose to an audience of brand disrupters from Nike, Microsoft, and Google to name just a few. 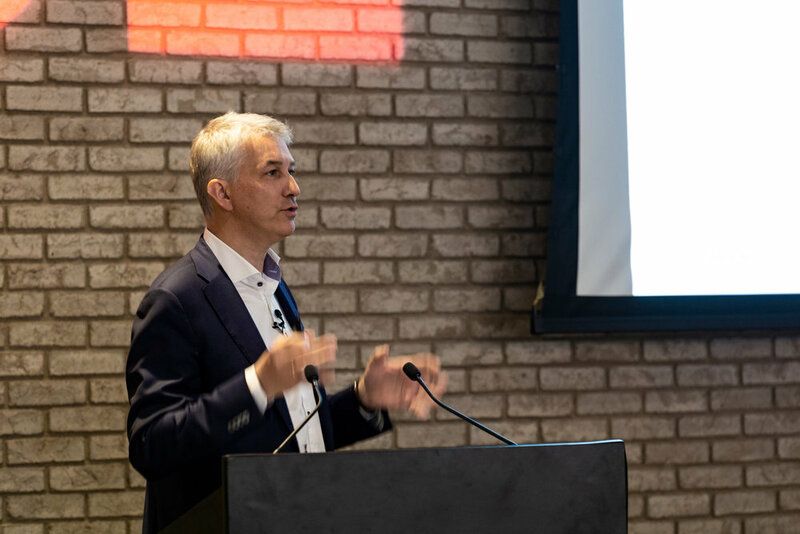 The book’s message resonated with an audience deeply passionate about how companies are changing in response to the ways consumers experience and interact with the brand. In April 2019, Bård will be back at FUSE to share about his updated and revised book, which is partly a result of the valuable feedback from the FUSE community. Pre-register below to find out when you can get your copy of the up-to-date edition of Point of purpose. Your company’s purpose kick-starts a chain of events so powerful that it moves mountains and transforms your company as you know it. A meaningful purpose fuels a motivational engine, moving the brand forward to support and grow the business. Customers will pay more for an item when a brand shares their values. Valuable brands don’t chase dollars. Purpose is the glue that bonds the trinity of investors, customers, and employees. Point of purpose is an essential tool for any modern business leader who seeks to build meaningful and long-lasting brands that resonate with consumers and withstand the test of time. Whenever there are conflicting opinions, it’s the deciding factor. Whenever you’re unsure about taking a risk, it’s the safety net. Whenever the work gets difficult, it’s the reason why employees go the extra mile. Whenever your business climate changes, it’s the navigational beacon. Whenever you’re charting a path to growth and prosperity, it’s the road map. Wildly successful companies like Starbucks, Adidas and IKEA know the potential of purpose. Now, you can be in the know too. 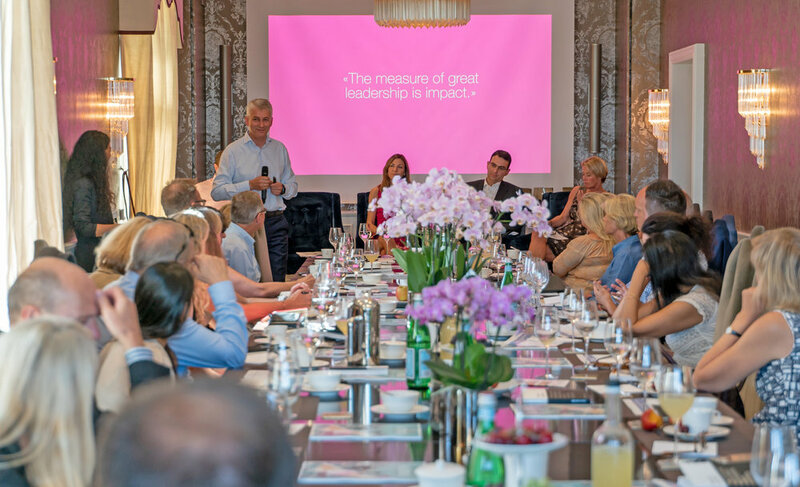 At the FutureBoards Summit in Oslo in June 2018, Bård Annweiler introduced his forthcoming book Point of purpose to the audience of CEOs, board chairs, politicians, regulators, and academics. 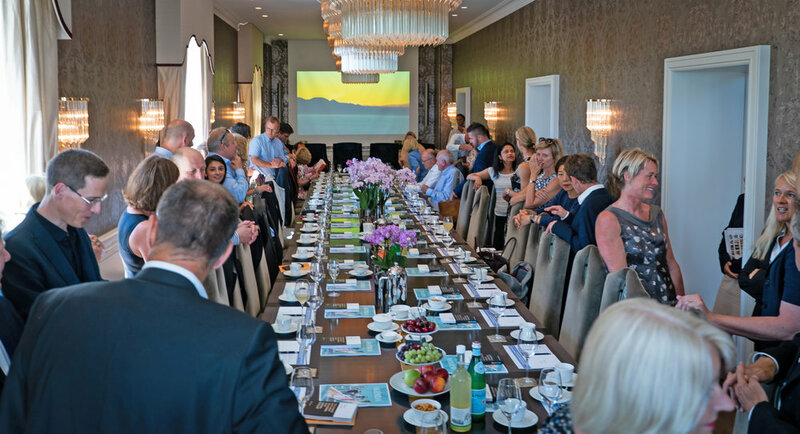 The focus of the summit was: How can business owners and governing bodies best respond to expectations and scrutiny from stakeholders? Attendees warmly welcomed the book’s message: that purpose acts as a true north and offers invaluable and dependable guidance, helping to ensure long-term value creation. Modern leaders know this to be true. Now, it’s up to you. You can better define your brand’s focus and offering. Customers will connect to your brand if it contributes something meaningful to the world. Purpose transforms your brand into an asset that contributes to achieving your business goals. The impact of better is far more valuable than the impact of more. Creating profit solely to generate more profit is a dangerous cycle. Bård Annweiler is one of the two co-founders of the award-winning Norwegian design agency Mission, which opened in 2001. Annweiler has more than 20 years of experience leading branding projects from strategy to implementation across sectors including lifestyle, technology, and professional services. Drawing on his experience with clients, agencies, and several active board positions, he helps leading businesses reimagine how they interact with their customers and employees. Annweiler helps organizations articulate and deliver clear, credible brand strategies based on meaningful purpose. Mission is a team of strategists, designers, thinkers and doers with a passion for solving our clients' problems. For more than 15 years, we have been working with brand development to build successful brands for companies, throughout Norway and Scandinavia. We believe all businesses must have a clear purpose. Without a clear and meaningful purpose, you are not able to engage employees or customers. We design successful brands by gathering investors, employees, and customers around a meaningful purpose. We’ll drop you an e-mail once the book is out. Yes I would like to receive Mission's insight by e-mail. I understand I may unsubscribe anytime.